Congratulations to Books, Ink's Heather Frimmer and Diane Lowman on the release of their new books! Not one but two Books, Ink contributors celebrated book birthdays this fall, and we couldn't be happier to see their stories out in the world, just in time for holiday gifting (hint, hint). Heather Frimmer's Bedside Manners was released on October 16 and Diane Lowman's Nothing But Blue on November 13. 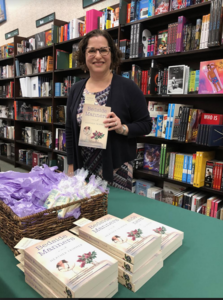 Bedside Manners follows a mother and daughter, Joyce and Marnie Novak, as they navigate the medical field from two perspectives: patient and physician. Joyce is newly diagnosed with breast cancer while Marnie has recently graduated medical school. Through their interlocked journeys, both Joyce and Marnie’s futures change in ways they never would have expected. You can purchase a copy here. 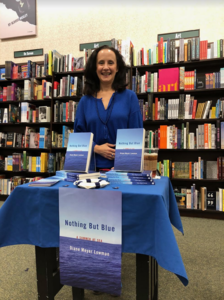 Nothing But Blue is a lyrical coming-of-age memoir of the author's 19th summer, which she spent working on a German container ship. Her 10- week journey transforms her from a malleable girl into an independent, resilient young woman who learns to stand on her own two feet even in the roughest of waters. You can purchase a copy here.